Mortgage holders have never had it so good, the last rise in interest rates was in November 2010 – since then, rates have slowly dropped to what is today an historic low cash rate of 2.50%. The majority of economists expect 2014 to be a year ‘on hold’ with most predicting the only way is up. But when will the RBA make a move – and should you consider fixing your rate? In a word: predictability. Fixed rates give you an amount of certainty, and in planning your monthly finances this is something that is highly attractive to many families. 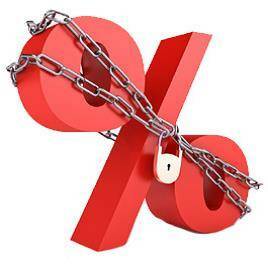 When interest rates start to rise, mortgages will take a larger chunk out of the monthly pay packet. Timing is extremely important because, if you decide to fix your rate and the RBA then announces a cut, you’ll feel cheated. Fixed rates are only for a certain period of time (usually one to five years), if you fix now and then rates don’t move for another ten months, you’ll also feel as though you’ve lost out. If we had a crystal ball that told us exactly when the RBA will begin to increase rates, there would be a stampede to lenders the day before it happened. You need to accept the fact that fixing is speculative – and therefore you’re taking a risk. This is why a lot of people choose to fix only a portion of their mortgage – you can fix 30%, 50% or whatever you feel comfortable with. The rest of your mortgage can remain flexible. That way, you’ll feel like have all bases covered. As for the experts, their predictions are mixed as to whether official rates will go up (some even think another drop is on the cards). However, the ‘Business Day’ panel of 25 of Australia’s leading forecasters in the diverse fields of market economics, academia, consultancy and industry associations unanimously predict that 2014 will be a year of no movement. Deciding when to fix interest rates (or whether to fix at all) is a personal decision. In the end, you’ll need to make the call (and cross your fingers for the best). Tough decision, but may be a good one for investors.